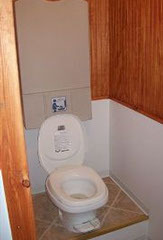 Our large VIP unit features two separate sides, the woman's room has two stalls, a sink with running water, and a hand towel dispenser. 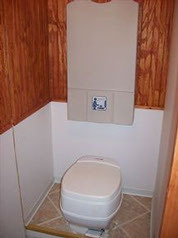 One stall is equipped with a baby changing station. The men's room has one stall and a urinal station. 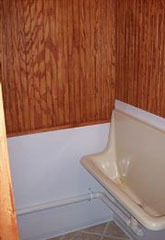 The stall is also equipped with a baby changing station. 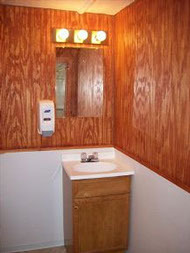 The men's side also features a sink with running water and a hand towel dispenser. 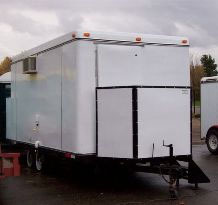 Both sides are equipped with air conditioning and lighting. Outside dimensions are 8 ft wide, 22 feet long, and 8 ft high. 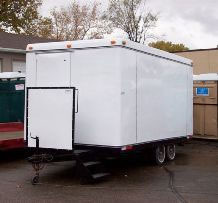 We deliver and set up the unit prior to your event, you need a level spot for us to set it, and provide electricity to the unit for the lighting and air conditioning. A water supply is also helpful to fill the tanks.